We’re attending the Crumbs Awards this Sunday! Posted by Jess on 10/10/2018. In July, we were chosen as a finalist in this year’s Crumbs Awards! 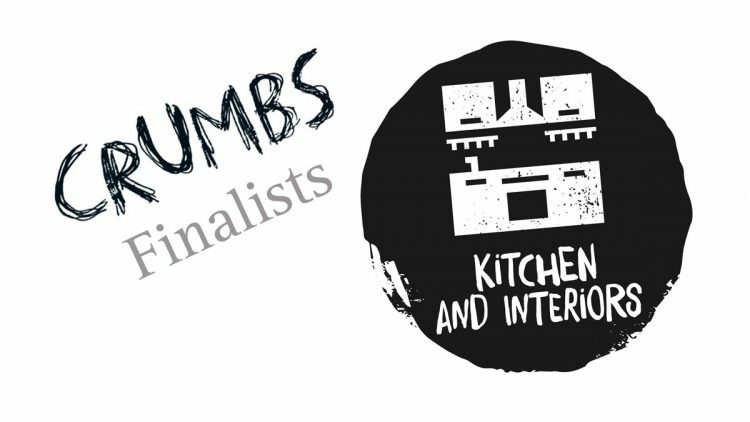 The awards celebrate the best of Bath and Bristol businesses and we were selected as a finalist in the Kitchen and Interiors category, which was fantastic news! The Crumbs Awards, organised by Crumbs magazine, is all about promoting the area’s awesome food and drink culture, and creating a buzz around the people and businesses which make the local scene one of the best in the UK. As such it’s great to be recognised for our work and commitment to the craft among other local independents who work equally hard in their own discipline. You can see who else made the finalists list and the full press release here. Time has flown since the announcement, and the actual award’s ceremony is taking place this Sunday 14th October at the newly renovated Bristol Old Vic. BB directors Tom Jones Marquez and James Etheridge will both be attending, so we hope to see you there. You can also follow the awards ceremony and announcements on Twitter. We’re looking forward to a great night, and keeping our fingers crossed!